Bungie outlines a better defined "season of content"
Towards the latter half of Destiny's lifespan, seasonal events, like the Halloween-themed "Festival of the Lost" or the winter-themed "The Dawning," started popping up. 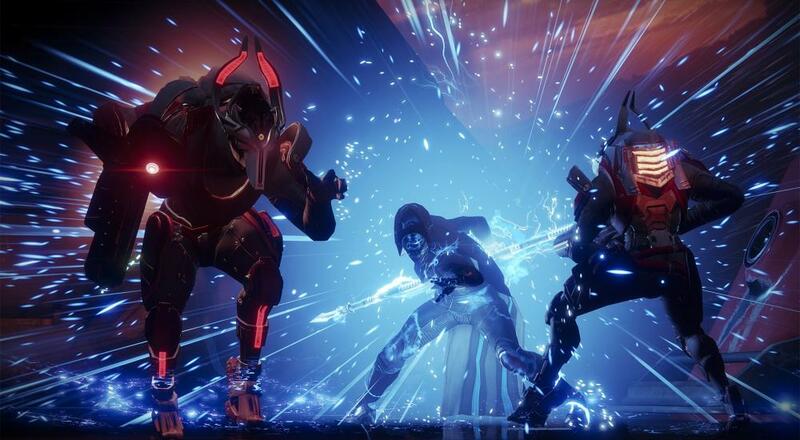 At this past weekend's TwitchCon, Bungie said that one of the improvements they have planned for Destiny 2 is to have four clearly defined seasons within the game and that each season will bring with it tweaks/improvements, and new loot. The main co-op focus for all of this seasonal news is specifically around the Clan Perks. Each week, members of a Destiny Clan can contribute experience points towards their overall Clan Level and unlock new perks, like better drops from Public Events or more credits earned for killing certain enemies, that apply to all members of that clan. Since the title launched last month on the consoles, the perks/experience have always been couched in terms of "this season," which implied that they would get reset at some point. With the announcement this weekend, Bungie has provided some more context, although no official end date for "Season 1" has been given. The developer also stated that players will have a chance to earn more experience (in order to earn more Bright Engrams) for themselves and for their Clan towards the end of a season with an event they're calling "Clarion Call." As a quick reminder, Co-Optimus has an official casual/family friendly Clan within Destiny 2, if you're looking for one! On the cosmetic side of things, each season will bring with it new cosmetic armor, emotes, ships, and Sparrows that you can earn from those Bright Engrams. Additionally, the gear in the monthly "Iron Banner" contests will change, and it sounds like they'll be doing some tweaks to how that loot gets awarded as well. Destiny 2 is out now on PC, PlayStation 4, and Xbox One.